Description: After an academic career in geology Josephine Thomachot began training as a bow maker with her father Stephane Thomachot in 2013. 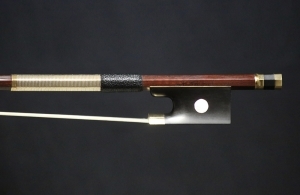 Stephane taught her the French method of bow making just as he had learned it from his teacher Bernard Ouchard in the bow making school of Mirecourt.v To further her knowledge of baroque bows Josephine secured a position in the workshop of bow maker David Hawthorne in Boston, Mass., USA and followed this with a period spent working in l’Atelier d’Arthur with Arthur Dubroca et Alexandre Aumont in Paris. Since 2015 Josephine has had several opportunities to develop her skills in the workshop of both Noel Burke in Ireland and Emmanuel Carlier in Paris. 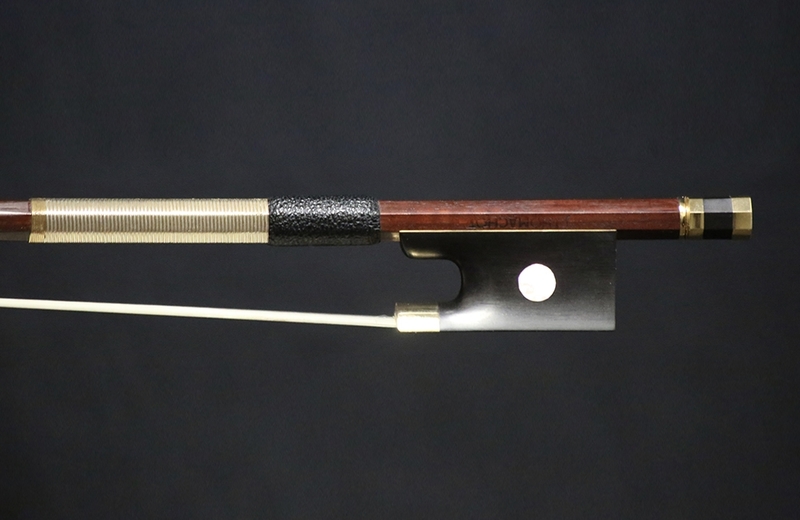 In September 2015 Josephine made a bow that was included in «Great Bow Makers of the 21st Century», the exhibition of contemporary ivory mounted bows organized by Andy Lim in Cremona, Italy. Her bow was also photographed and included in Andy Lim’s groundbreaking book of actual size photographs of bows published in 2015. 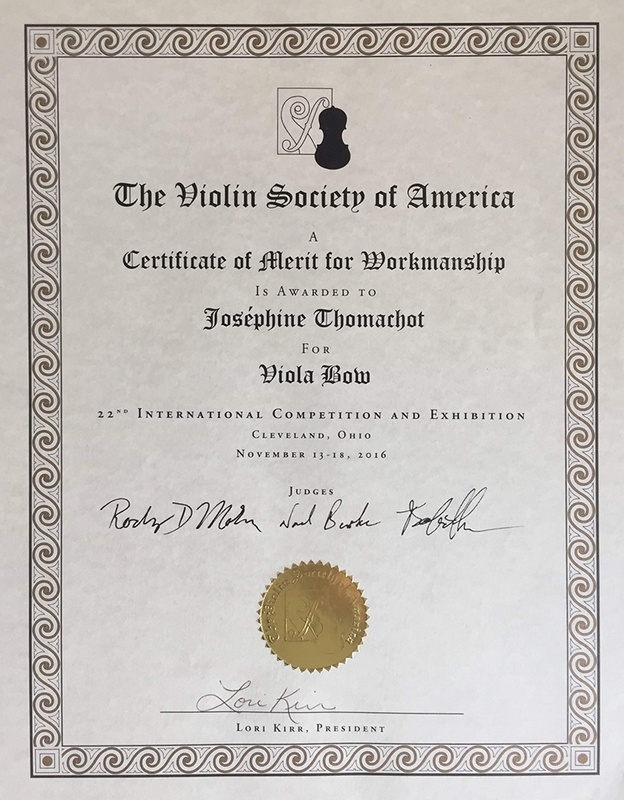 In 2016 Josephine participated at the Violin Society of America and won a certificate of merit for workmanship for this particular viola bow. 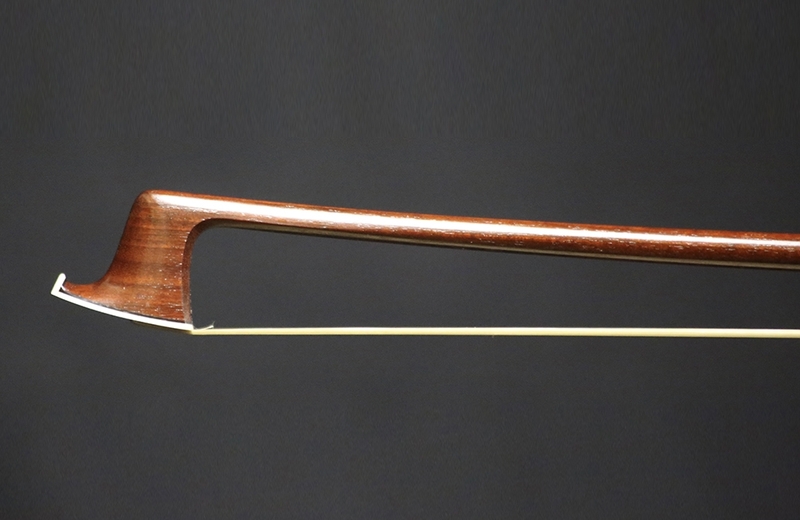 She presently lives and works in Paris where she specialized in making modern bows. Weight: 70.3 grams.